Conference Series llc LTD invites all the participants around the globe to attend “20th International Conference on Pediatrics & Primary Care” to be held at Zurich, Switzerland during September 03-04, 2018 which includes Oral presentations, keynote presentations, poster presentations and exhibitions. Pediatrics Conferences offers a unique opportunity for investigators across the globe to meet and perceive latest and exciting innovations in the field of Pediatrics & Primary Care research. We cordially invite all the participants who are interested to share their innovative ideas and research in the arena of Pediatrics, Primary care, Primary Neonatal care, Pediatric Emergency Medicine, Pediatric Hospice and Palliative Care, Pediatric Infectious Diseases, Clinical Pediatrics, Pediatrics Vaccines, Pediatric Psychiatry, Pediatric Dermatology, Pediatric Hematology, Pediatric Hepatology, Pediatric Pulmonology, Pediatric Radiology, Pediatric Pharmacology, Pediatric Rheumatology, Pediatric Primary Care Nursing, Pediatric Gastroenterology, Pediatric Oncology, Pediatric Urology, Pediatric Surgery, Breast Feeding, Pediatric Dentistry, Pediatric Allergy, Pediatric Neurology, Pediatric Rehabilitation Medicine, Pediatric Endocrinology, Pediatric Cardiology, Pediatric Nutrition, Pediatric Nursing, Pediatric Adolescent medicine professionals, researches and academic communities worldwide. This Pediatrics Conferences 2018 also encourages the active participation of young students, upcoming researchers and budding scientists as we are hosting Poster Award Competition and Young research Forum at the conference venue. Conference Series llc LTD is a pioneer and leading scientific event organizer, publishing around 700 Open access journals and conducting over 500 Scientific Meetings all over the globe annually with the support of more than 1000 scientific associations, 80,000 editorial board members, and 7.5 million followers to its credit. Pediatrics conferences provides the best platform to reach the largest assemblage of participants from Pediatrics & Primary Care community, to conduct presentations, distribute information, share novel ideas, meet with potential scientists, and receive name recognition at this two 2-day event. The hallmarks of this conference include world-renowned speakers, the most recent techniques, developments, and the latest updates in Pediatrics & Primary Care. Pediatrics is the specialization to fame of medicinal science concerned about the physical, mental, and social strength of kids from birth to youthful adulthood. Pediatric care includes a wide range of wellbeing administrations going from preventive human services to the determination and treatment of intense and constant ailments. Pediatrics Conferences is a teach that arrangements with organic, social, and natural effects on the creating tyke and with the effect of infection and brokenness on advancement. Youngsters vary from grown-ups anatomically, physiologically, immunologically, mentally, formatively, and metabolically. Pediatrics is known as a new modern medicine in the society today and involves the medical care of infants, children and adolescents. Pediatrics Primary Care is the healthcare given by a healthcare provider to infants, children and adolescents. Primary care to patients is commonly received from professionals such as pediatric primary care physician, pediatric nurse practitioner or a physician assistant. Primary Neonatal Care track is specifically for nurses and doctors who provide primary care for newborn infants in level 1 clinics and hospitals. Pediatrics Conferences Newborn Care tends to the care of babies during childbirth, care of ordinary babies, care of low birth weight babies, neonatal are at expanded danger of bringing forth a baby with a birth imperfection. Unique consideration is given to methods of legacy, medicinal hereditary directing, and birth absconds because of chromosomal anomalies, single quality deformities, teratogens and multifactorial legacy. Pediatrics Conferences emergency medicine (PEM) is a restorative subspecialty of both Pediatrics and Emergency Medicine. It includes the care of undifferentiated, unscheduled youngsters with intense diseases or wounds that require quick medicinal consideration. While not generally giving long haul or proceeding with mind, pediatric crisis specialists attempt the vital examinations and intercessions to analyze patients in the intense stage, to liaise with doctors from different specialities, and to revive and settle kids who are truly sick or harmed. Pediatric crisis doctors for the most part rehearse in healing center crisis offices. This tracks is exclusively dedicated to Pediatricians and Physicians. Pediatrics Conferences Hospice and Palliative Care track is designed to for new born child, Adolescent & Pediatrics families facing serious illness, death, and grief will experience the best that humankind can offer. 15th International Pediatrics Conferences, February 19-20, 2018 Paris, France; 15th International Pediatric Cardiology Conferences, February 19-20, 2018 Paris, France; 3rd International Pediatric Surgery Conferences, May 07-08, 2018 Frankfurt, Germany; 14th International Clinical Pediatrics Conferences, June 14-16, 2018 Rome, Italy; 23rd European Pediatrics Conferences, September 20-22, 2018 Lisbon, Portugal; 20th Perinatology and Neonatology Conferences , December 04-06, 2017 Madrid, Spain, 29th International Pediatric Nursing Conferences, August 16-17, 2018 Madrid, Spain; 29th International Pediatric Healthcare Conferences, August 16-17, 2018 Madrid, Spain; 2nd Edition of International Congress on Pediatrics Conferences, March 26-27, 2018 Edinburgh, Scotland; Intern 7 th Congress of the European Academy of Pediatrics-EAPS Conferences 2018, 30 October - 3 November, 2018 Paris, France; 2 nd Edition of International Adolescent Health and Medicine Conferences, August 06-07, 2018 Madrid, Spain; 2 nd Annual Summer Pediatric and Neonatal Intensive Care Conferences, October 10-11, 2018 Marbella, Spain; European Society for Pediatric Dermatology Conferences, October 19-21, 2018 Mallorca, Spain, 10th Annual World Pediatrics Congress , March 23-25, 2018 Orlando, Florida, USA; Pediatric Surgery Conference, June 29-30, 2017 London, UK; American Professional Society of ADHD and related disorders 2017 January 13-15, 2017 Washington, USA; Mayo Clinic Pediatrics Multiple Sclerosis and Autoimmune Neurology 2018, February 10-11, 2018 Phoenix, USA; Pediatrics Congress 2018, February 16-17, 2017 Luxor, Egypt; Geriatrics conference 2018 June 08-11, 2018 Boston, USA; Pediatrics Neuro-Oncology Symposium, February 24-25, 2017 Phoenix, Arizona, USA; Annual Pediatrics Meeting, June 02-06, 2017 Chicago, Illinois, USA, Clinical Pediatrics Conference, June 29-July 01, 2017 London, UK; Pediatric Medicine Congress, August 28-30, 2017 Philadelphia, Pennsylvania, USA; Pediatrics Neurology Annual Meeting, November 16-18, 2017 Lisbon, Portugal; International Geriatrics Meeting 2017 May 10-13, 2017 San Francisco, USA; Faculty of Child & Adolescent Psychiatry 2017, October 19-22, 2017 Adelaide, Australia; International Neonatal Conference, March 09-11, 2017 Abu Dhabi, UAE; Pediatric Academic Societies (PAS) Annual Meeting 2017, May 06-09, 2017 San Francisco, California. Children routinely get antibodies that shield them from more than dozen diseases , for example, measles, polio, tetanus, diphtheria, and pertussis (whooping cough). The vast majority of these infections are presently at their most reduced levels ever, on account of years of vaccination. Children must get in any event a few immunizations previously they may go to class. Immunizations help make you invulnerable to genuine illnesses without getting wiped out first. Without an immunization, you should really get a malady so as to end up plainly invulnerable to the germ that causes it. Immunizations work best when they are given at specific ages. For instance, kids don't get measles immunization until the point that they are no less than one year old. In the event that it is given before it won't not fill in also. Pediatrics Conferences invites worldwide members of physicians, scientists, and professionals in training who have an interest in pediatric skin and its diseases. Pediatrics Dermatology is dedicated to helping children with dermatological diseases and to improving the care of these children. Pediatric Hepatology session which discuss about the diagnosis and treatment of problems of the digestive system in children and teenagers. Pediatrics Conferences all the pediatric hepatologists, gastroenterologists to discuss about the latest discoveries. Clinical Pediatrics Conferences deals with research trends on Pediatric Medicine for the health care of infants, children, and adolescents through the study of pediatric diseases, diagnosis, treatment and management which provides a platform for a diverse audience of pediatric healthcare professionals, physicians and clinicians, researchers, instructors, practicing and general pediatricians. Pediatric infections are mostly caused by an infectious agent such as bacteria, virus, fungus or parasite. Pediatric Infectious disease specialist diagnoses and treats wide range of infectious and immunologic diseases. Various diseases include respiratory infections, bone and joint infections, tuberculosis, hepatitis and meningitis. Pediatric infectious disease specialists treat children from birth through the teen years. Pediatrics emergency medicine is a subspecialty of medicine that involves urgent care of children suffering with acute illness or injuries. It deals with both pediatrics and emergency medicine. The doctors involved in the treatment are called Pediatric Emergency Physicians who are well experienced in diagnosis and treatment of all types of emergencies in infants, children and adolescents. Treatment includes acute medical problems such as high or persistent fever, severe infections, severe pain, severe allergic reactions, major injuries such as fractures, head injuries, burns etc., and minor injuries such as cuts, animal bites, sprains, and foreign bodies. Pediatric Primary Care Nursing is the medical care given to neonates and children up to adolescence. Specially trained nurses from field of pediatrics continually access the patient by observing vital signs and develops communication skills with children, have a quick mobility and response to contain the life-threatening situations. They mainly focus on providing care and support for newborn babies who were born prematurely or suffering from health problems such as birth defects, infections, or heart deformities. The main nursing goal is to normalize the life of the child during hospitalization, to prevent disease and promote the health of child. Pediatric Critical care otherwise known as Critical care medicine is concerned with diagnosis and management of conditions that requires organ support and invasive monitoring. The critical care organ systems include cardiovascular system, central nervous system, endocrine system, gastro-intestinal tract, hematology, microbiology, etc. Critical care medicine is an increasingly important medical specialty. Physicians associated with critical care medicine are known as Intensivists. The various intensive care units include Coronary Intensive Care Unit(CICU), Medical Intensive Care Unit (MICU), Surgical Intensive Care Unit (SICU), etc. Palliative care is a multidisciplinary approach that focuses on providing the infants, children and adolescents with relief from the symptoms, pain, physical stress, and mental stress. The care increases the comfort of pediatrics by lessening pain, stress, and controlling symptoms. Hospice care focuses on palliation of a chronically ill, terminally ill patient. Palliative care can improve the life quality, Increase the survival time and decrease the depressive systems. Pediatric Neurocritical Care is a subspecialty of child neurology that focuses on improving the outcomes in critically ill pediatric patients with neurological illness or injury. The doctors involved in this treatment are called neurologist who diagnose and treat neurological disorders. The diseases associated with neurology are life-threatening and some include strokes, ruptured aneurysms, seizures, brain tumors, intracranial edema, encephalitis, etc. Pediatric disorders refer to disorders that are contracted or becomes symptomatic before the age of 18 years. Various pediatric disorders include asthma, diaper dermatitis, eczema, gastroenteritis, impetigo, otitis media, scabies, urinary tract infection, etc. The most prevalent diseases include ADHD, autism, Down’s syndrome, cerebral palsy and childhood obesity. 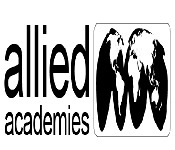 Pediatric primary care practice is an important training given to medical graduates. In case of absence of a complete emergency practitioner, the medical graduates can provide care for patients. The practices include Herbal care practice, emergency care guidelines, alternative treatments and therapies. Neonatal Primary Care is mainly focused on the care of infants at birth, normal infants, low-birth weight infants, neonatal emergencies and management of important problems and common minor problems in newborn infants. Neonatal nurse practitioners perform clinically indicated advanced diagnostic procedures providing primary, acute, chronic, and critical care to neonates, infants, and toddlers through age 2. The 20th International Conference on Pediatrics Primary Care provides the scope for opportunities to learn about modern technologies and medical practices progressed by knowledgeable, skilled and experienced pediatric scientists, pediatric primary care professionals, pediatric nutritionists, pediatric researchers, pediatric primary care associates, and a team of many other multidisciplinary specialists. This conference mainly focuses on spreading the awareness among people about the new trends in pediatric primary care. This conference provides the best platform to learn, inform and discuss new ideas, current discoveries and issues related to primary care. With the 20th International Conference on Pediatrics Primary Care, we expect the gathering of worldwide experts and eminent people to discuss and share their novel ideas or new research so that it would be beneficial for children suffering from various infections and disorders. The main objective of Pediatrics Primary Care for 2018 is to congregate scholars from all over the world to present current research and advances in the relevant fields of Pediatrics & Primary care and to foster an environment to exchange ideas and information on all technical and practical aspects. Primary Care 2017 is an premier conference serving professionals from academic and industry to discuss the novel trends in Pediatrics & Primary Care including Primary neonatal care, Pediatric Emergency Medicine, Pediatric Hospice and Palliative Care, Pediatrics Vaccines, Pediatric Psychiatry, Pediatric Dermatology, Pediatric Haematology, Pediatric Hepatology, Pediatric Pulmonology, Pediatric Radiology, Pediatric Pharmacology, Pediatric Rheumatology, Pediatric Primary Care Nursing, Pediatric Gastroenterology, Pediatric Oncology, Pediatric Urology, Pediatric Surgery, Breast Feeding, Pediatric Dentistry, Pediatric Allergy, Pediatric Neurology, Pediatric Rehabilitation Medicine, Pediatric Endocrinology, Pediatric Cardiology, Pediatric Nutrition, Pediatric Nursing, Pediatric Adolescent medicine and many more latest research. Zurich is both the capital and the largest city of Switzerland and has a population of around 401,144 people. The entire metropolitan area has a population of around 1.83 million people. In 2005, the population size was 366,809, making Zurich the city with the smallest population of all the cities and has a largest immigrant population that accounts for one-third of the total urban population. The city has a small proportion of Youth, with only 11.9% of the population aged 14 or under. 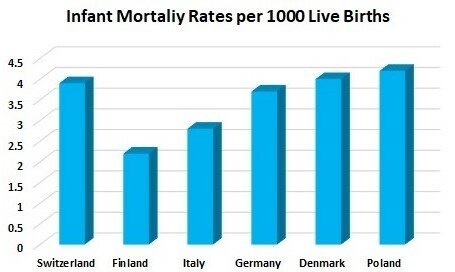 Infant mortality rate accounts for 3.6 per deaths per 1000 live births. Wealthier individuals have a lower mortality rate than poor people. There is increasing differences in the life expectancy of persons in wealthy regions in Switzerland as opposed to those in poor regions. Between 1990 and 2015, the differences in the survival chances of children and young adults had decreased. Once the birth rate has fallen below the mortality rate, estimated to occur by around 2017, within another six years the population will have declined by 2.6 million people. Pediatrics Primary Care-2018 aims to create awareness and achieve the goal of reducing mortality rate. 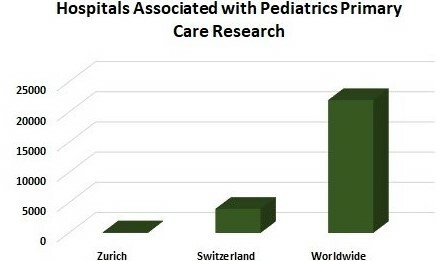 The Pediatric primary care research specialties includes pediatric emergency medicine, pediatric primary care nursing, pediatric critical care, pediatric hospice and palliative care, pediatric neurocritical care, pediatric disorders, neonatal primary care and so on. The members associated with the research include pediatric scientists, pediatric physicians, pediatricians, pediatric primary care researchers, training institutes, etc. 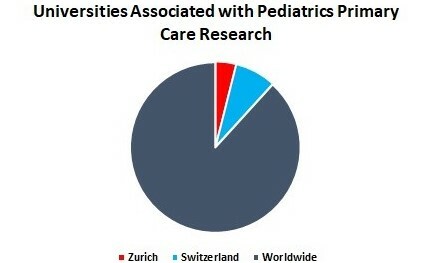 It is being acknowledged that the pediatrics primary care research is being increased due to various pediatric disorders. 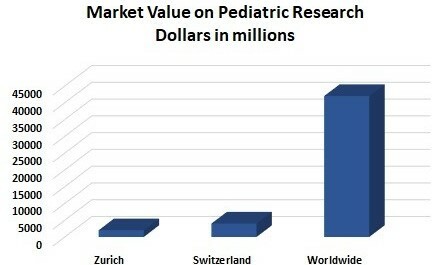 According to the records in Zurich, the market value on pediatrics primary care research is 42 million. 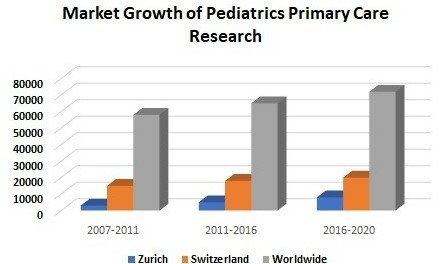 It is being acknowledged that the global market value for pediatric primary care is accounted to approximately $85 billion in 2016 and expected to grow at 8.4% CAGR in future.